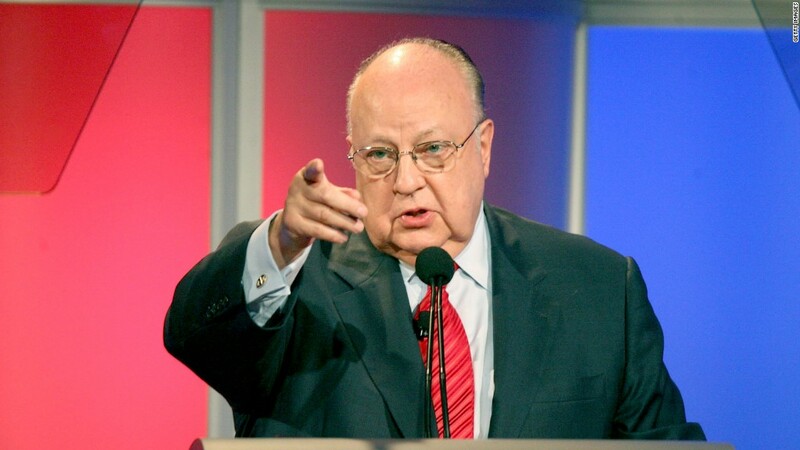 Ousted Fox News chairman and CEO Roger Ailes is writing a book. Ailes has not spoken publicly since Thursday, when he resigned from Fox amid allegations of sexual harassment. But in private, he has told friends he's getting to work on an autobiography he has been mulling for years. "The book is a priority for him now," one longtime friend of Ailes said. A second confidant confirmed that Ailes told colleagues last week that he's focusing on the book. The autobiography is a forum for Ailes to recount his accomplishments, including the creation of Fox News in the mid 1990s. He may choose to respond in some way to the harassment allegations against him. He has vehemently denied the claims in ex-anchor Gretchen Carlson's lawsuit. What Ailes can't do, according to a source with knowledge of his exit agreement, is criticize his former employer or its owners, the Murdochs. The agreement includes a non-disparagement clause. Ailes reportedly struck a deal with Harper Collins to write an autobiography nearly five years ago. Since that time, two books about him have been published. But Ailes hasn't written any book himself since "You Are the Message," a 1988 classic about political communication. Harper Collins, like Fox News, is the book publishing arm of the Murdoch family's media empire -- a natural partner for Ailes, or at least it was until this week. Back in 2011 New York magazine's Gabriel Sherman reported that the book deal was believed to be worth $3 to $4 million for Ailes. Longtime Fox News contributor Jim Pinkerton has been working with Ailes on the project, the confidant said. But the book is still in its relatively early stages. Now Ailes has more time to finish it. The friend of Ailes said he is likely to pursue other projects as well, without specifying. Ailes' exit deal has a non-compete clause that prohibits him for working for other news organizations. The duration of the non-compete is unknown. There is widespread speculation that Ailes might team up with Donald Trump and advise him in some capacity. Trump declined to comment on Sunday. As for how Ailes is feeling, three days after resigning from the channel he created, the friend said, "I think he's a realist. He understands that everything comes to an end."